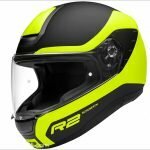 Unwilling to just jump on the V-twin and retro helmet style bandwagon, Arai took it upon themselves to create a new model that completely redefine how helmets in these segments should perform. 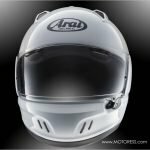 To this end, Arai is proud to announce the release of the Classic-V open face helmet. Held to the same high standards as the rest of their helmets, the Classic-V represent Arai’s commitment to time-honoured quality and uncompromising protection. The result is a helmet that pushes performance boundaries and defy expectations. 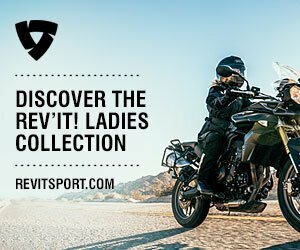 With Arai’s new Classic-V, riders don’t have to sacrifice. 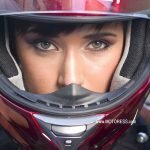 The Arai Classic-V breaks new ground not only for Arai, but also for what an open-face helmet can be. Heritage styling with modern luxuries. Traditional stitched faux leather edge trim. Faux leather interior accents. Behind the vintage look are modern technologies. Patented hidden interior ventilation. Arai’s uncompromising level of quality and protection. 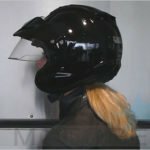 Patented Ventilation: Yes – Ventilated! This smooth, retro helmet is actually fully ventilated: air enters via three intakes, flows over the head and exits through a multi-staged channel that leads to all-new Venturi exhaust ports. The Arai Classic-V: ►Look cool. Stay cool. Visit Arai’s website to find an authorized dealer near you. Nearly 70 years ago, Hirotake Arai created the first motorcycle helmet in Japan to protect his own head. 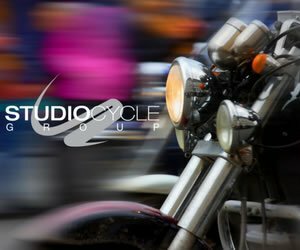 Today, Arai Helmets is managed directly by his son and grandson, and has grown to be recognized as one of the world’s premier helmet manufacturers. Such recognition did not come easily or overnight, but as a result of decades of focus on improving upon what came before; always trying to outdo yourself. 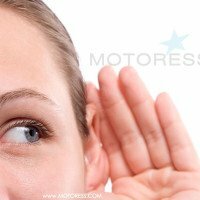 This philosophy is shared by every employee at Arai, from top management through every active participant who has a vested interest in their contribution to the final helmet – a helmet that might be worn by a friend, a family member or even a MotoGP star. Arai is proudly committed to the consistent pursuit of gains in protection with each helmet they create, just like their founder.